Facebook is rolling out a new feature for its mobile app that allows you to share your approximate location with friends. The opt-in feature (it’s turned off by default) enables you to find and be found by nearby friends. The feature can be turned on or off at any time and both parties have to have the feature enabled. When you configure the feature you can select to share with all your friends or a sub-set like only family or only close friends. The feature is only available for users over 18 so, unless they lie about their age, it is not available to minors. 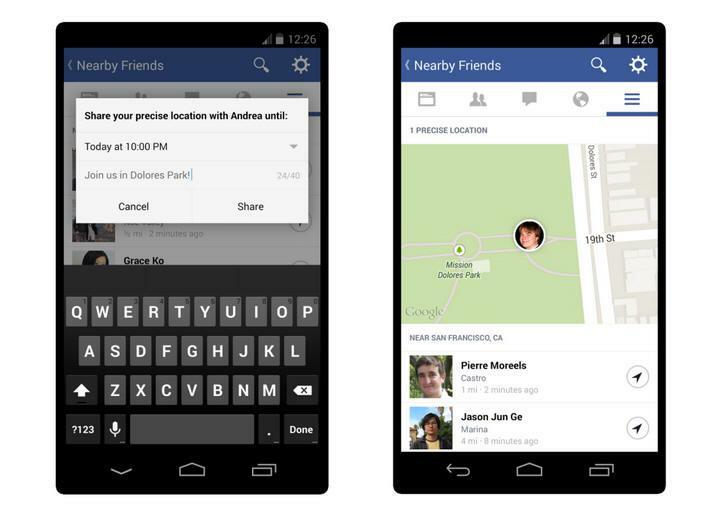 With this feature enabled, you might be able to know that a friend is nearby so you can meet up. In addition to sharing your approximate location with a group of friends, you have the option of sharing yourprecise location with specific friends and you can decide how long your specific location will be shared. For example, I could decide to share my exact location with Susie Smith between now and 11:00, assuming Susie also had the feature turned on. I would only know her location if she shared it with me. If friends are traveling you will able able to see the city and neighborhood that they’re in, according to a Facebook blog post. The maximum exposure is friends. You can not set it for friends of friends or publicly display your location. Users’ location history is permanently set to “only me” according to a Facebook spokesperson. The feature certainly can be misused to provide your location to someone who shouldn’t know it, but there are plenty of safeguards available, as long as you use them. As with any location app, you should only share your precise location with people you know and trust. Even sharing your approximate location could be inappropriate or even dangerous in some cases if people who you don’t want to find you can use it to figure out where you are. It can also have other implications. If your boss thinks you’re at an offsite meeting in Los Angeles but you’re sharing that you’re actually in San Francisco, it could have a big problem on your hands. This feature is for adults only. No one under 18 can use this feature, assuming that they have signed on with their correct age. Facebook is hardly a pioneer when it comes to location sharing. 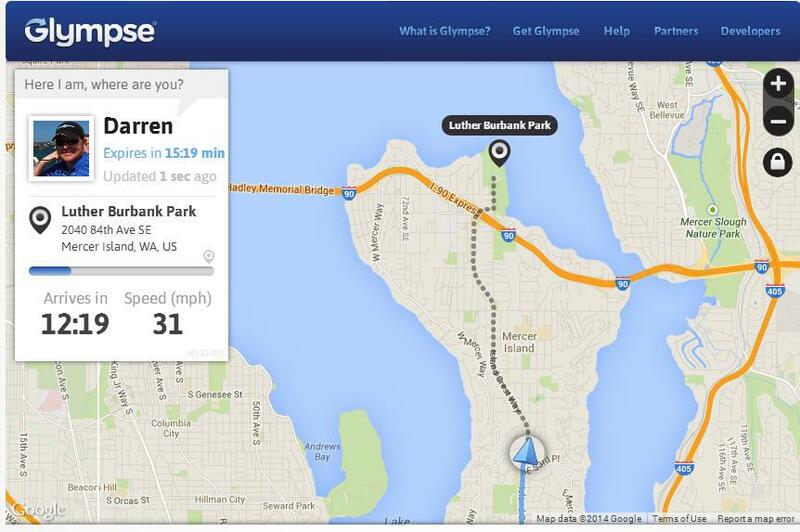 Glympse (also a ConnectSafely supporter) has long offered a location sharing app that even allows you to follow someone as they drive. By default, it times-out in 15 minutes but you can opt to share your location for a maximum of four hours.